Situated adjacent to the City of Orillia and bounded by Lake Couchiching to the east, the Severn River to the north, Georgian Bay to the west and Bass Lake to the south, this recreational setting allows for numerous year round activities with a wide range of services. Our rural and urban settlements such as Coldwater, Washago, Port Severn, Severn Falls and Marchmont provide an atmosphere of comfort and relaxation all year round. The Township of Severn offers a diverse blend of rural, small urban and vacation lifestyles. For the residents of Severn, we promote a sustainable, fiscally responsible, safe and healthy community while supporting our heritage and culture. This charming Township with a permanent population of 13,477 seasonally swells to over 15,000 in the summer and encompasses 550 sq. km. It is an ideal location to live, work, and raise a family. Reporting to council through the mayor you will lead a non-union staff of 54 through a team of four department heads. The CAO oversees a total proposed 2019 budget of $13 million. 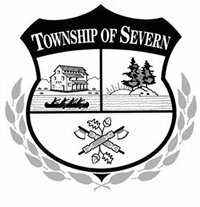 Our Council makes decisions affecting the community and the services provided by the Township of Severn. Interested candidates may apply for this career opportunity by submitting a resume and a compelling cover letter detailing how their experience matches the Township’s best interests. Apply by Friday, April 26th, 2019 via email to bruce@ravenhillgroup.com. Apply early in the process for optimal consideration. Ravenhill Group Inc. will conduct preliminary interviews as applications are received. Only the most highly qualified candidates will be invited for an on-site interview. The selection process may also involve a supplemental questionnaire. Interviews with the Township will be conducted in early to mid May. It is anticipated that the new CAO will join Severn Township in July 2019 or at a mutually agreeable date. This is a highly confidential search process. References will not be contacted until mutual interest has been established. Confidential inquiries are welcomed and should be directed to Bruce Malcolm Toll free 1-888-447-5910 ext. 727.